Water Street Home Oklahoma! When the Wind’s Sweeping Down the Plain, Will There Be Ample Water to Greet it? Oklahoma! When the Wind’s Sweeping Down the Plain, Will There Be Ample Water to Greet it? The “Oklahoma!” idealized in Rodgers and Hammerstein’s 1940s musical is a distant memory today – at least on the water side of things. The state has experienced varying levels of drought since 2010, with July 2011 seeing 70% of the state in extreme drought, and 2015 being ushered in with 62% of Oklahoma in some degree of drought. While record rainfalls in May gave some relief, much of the state is still reeling from the economic impact of the drought years. Moreover, the late onset of fall 2015 had many regions in “flash drought” situations and everyone more aware than ever of how quickly a favorable water situation can take a turn for the worse. 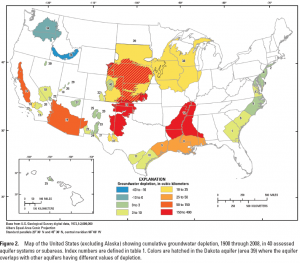 Even more worrisome is the overuse of groundwater supplies. 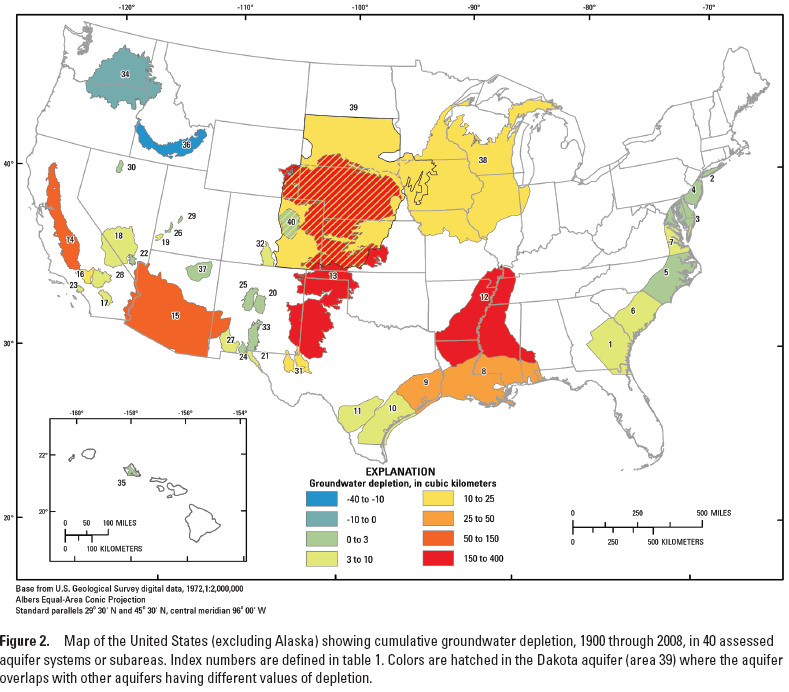 The Ogallala aquifer, which underlies eight states including Oklahoma, has declined in some areas by more than 100 feet! The greatest rate of depletion has occurred in just the past 10 years. This Midwest area, called the “bread basket” of the nation where groundwater irrigation accounts for 27 percent of the irrigated cropland, could see the groundwater supplies exhausted within the next 50 years! In a marriage of the truly historic and the cutting-edge, Fort Sill – the only remaining active U.S. Army post of all forts established on the Southern Plains during the Indian Wars – has “snapped to attention,” and currently is on its way to operating the state’s first permitted category 2 water reuse project. An executive order issued in 2015 requires all military installations to reduce potable water use by 2 percent a year for the next decade. The Army installation’s initiative will see the construction of new infrastructure that will clean up wastewater for use on the post. Doing so will allow Fort Sill to decrease its potable water purchase from nearby Lawton, OK – a monetary benefit as well as a water conservation benefit. Upon completion, project overseers expect Fort Sill to be able to clean up 800,000 gallons of wastewater per day to be used in applications including washing tanks, fortifying building foundations and, even water the post’s golf course. The first phase of the reuse project will cover one-third of the post, and the aim is to eventually expand the infrastructure to cover the entire facility.